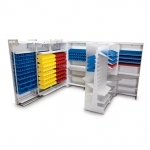 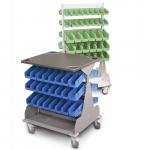 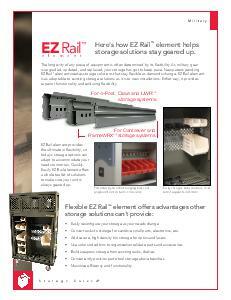 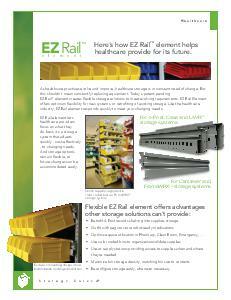 EZ Rail® modular storage rail adds flexibility to existing or new storage installations. 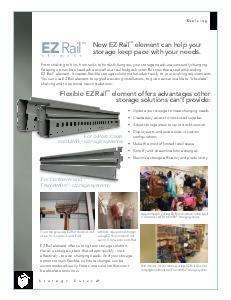 Spacesaver’s EZ Rail element is a modular storage rail that installs without fasteners into Spacesaver storage systems such as cantilever library shelving, FrameWRX® Storage Systems, 4-Post and Case-type shelving and Universal® Weapons Racks (UWR®s), as well as other manufacturer’s brands. 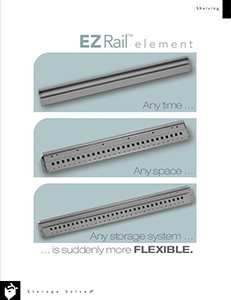 The EZ Rail is a simple one-piece element and was designed to hold industry standard plastic bins, pegboard, slatrail and slatwall accessories. 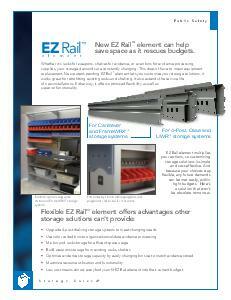 Flexible EZ Rail modular storage rail offers horizontal or sloped installation of a variety of industry standard hanging bins, and can be adjusted on site and by hand.